Alexie is an experienced Early Childhood Educator, Mother and Fisher. Join Alexie as she teaches you the basics of fishing, rods & reels, bait, casting etc. You will get hands on practice with basic skills and- if you remember to get your fishing license you can even do some fishing off the shore at Camp Manitou. If someone catches a fish you can all learn how to fillet (and eat) a fish- Yay! fish fry. Alexie is also a wealth of fishing activities that you can do with children of all ages! Update- September 4th- Alexie has arranged for a group fishing license so you will be free to fish at the Summit! I am a nature lover who lives on a small acreage in rural Manitoba. 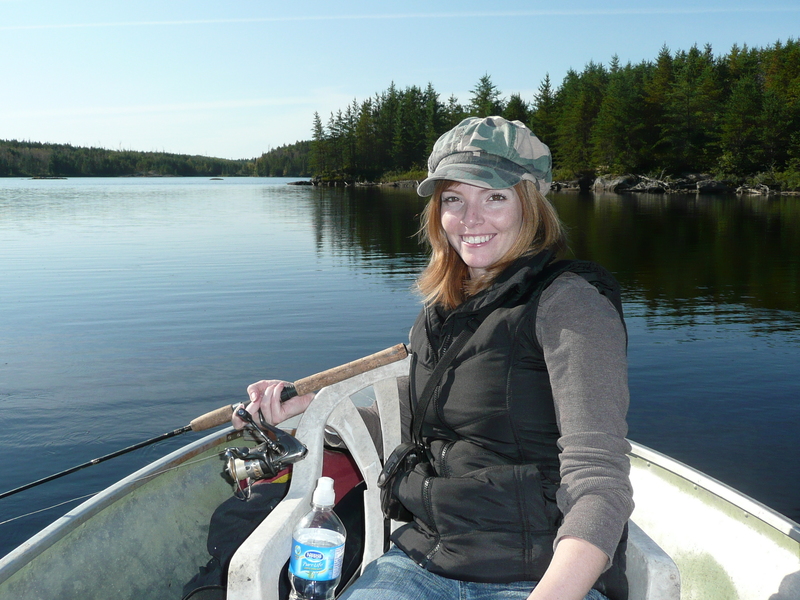 I grew up fishing on lakes in both Manitoba and Ontario. I want to share my experiences and knowledge of fishing with others; so they can share with their families and the children they work with. I am a proud mother of two and an Early Childhood Educator who values the importance of our children embracing and exploring the natural world. I love messy sensory activities, science, bugs, gardening, camping and fishing!